Brasília, one of the most spectacular urban development projects of the modern era, went from drawing board to reality within a period of only four years, and thus the myth of the planned city was born. 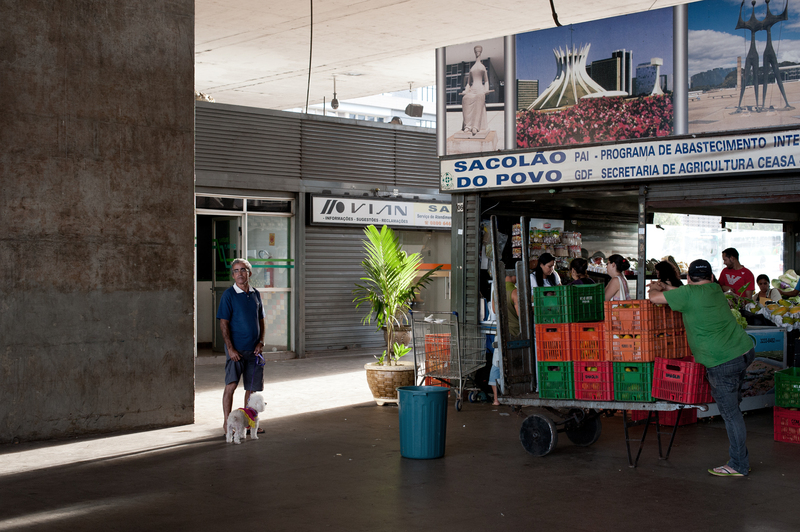 For half a century now, never-ending, identical images have shown us Brasília as a cold utopia. But what does it look like today? How were the ideas for its planning implemented? The real image of Brasília has since changed significantly. The greenery has flourished and dominates everyday urban space. The special landscape and its vegetation lend the utopia a place in the high plains of the Cerrado region. 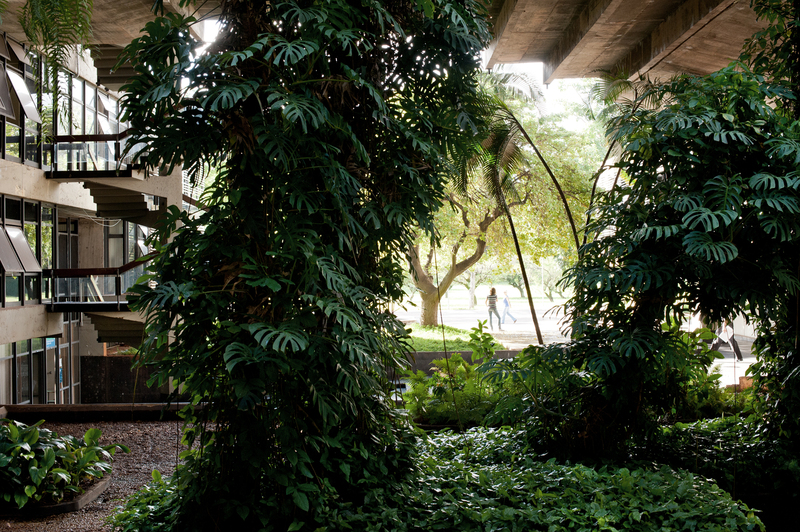 Trees and gardens formulate the city’s special spatial qualities. Only now do we understand the scale on which the big plan is based. 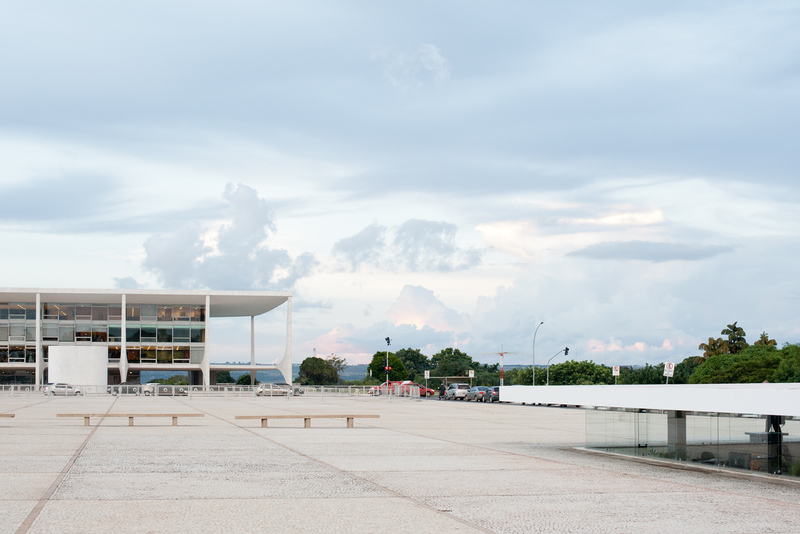 As the “Capital of Hope”, Brasília was meant to become a symbol for the development of a modern society. The will and certainty of its feasibility issues from the spirit of the modern era of being able to design an ideal city as a grand plan. The Brazilian president Juscelino Kubitschek commissions his friend, the architect Oscar Niemeyer, with the initial planning. Following an international competition, in 1957 Lúcio Costa is entrusted with the master plan. The myth of the new capital takes on dramatic features when within a period of barely four years a lake is dammed, the master plan—the Plano Piloto—is developed, and large parts of the city are built. 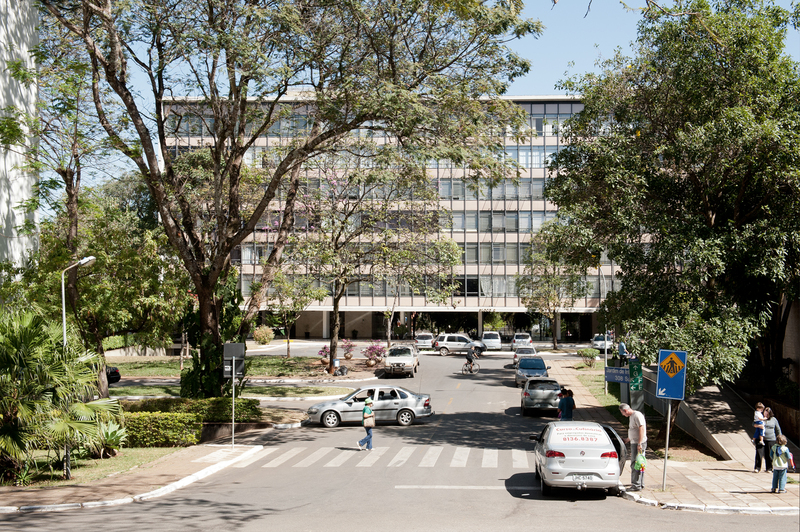 In 1960, Brasília, still a large construction site, is inaugurated by Kubitschek. The modernist project has become history. 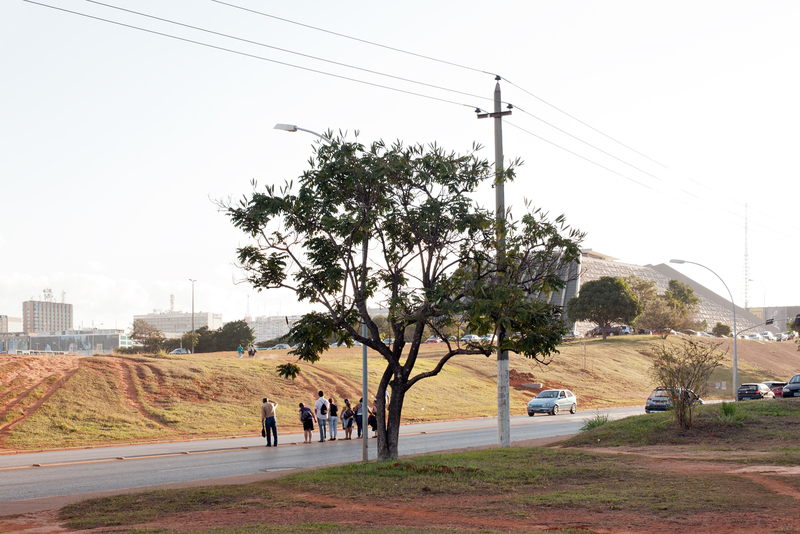 Today, it is possible to take a sophisticated look at Brasília. How did the grand plan develop, how was it appropriated, how was it amalgamated? This is where the photographic work begins. 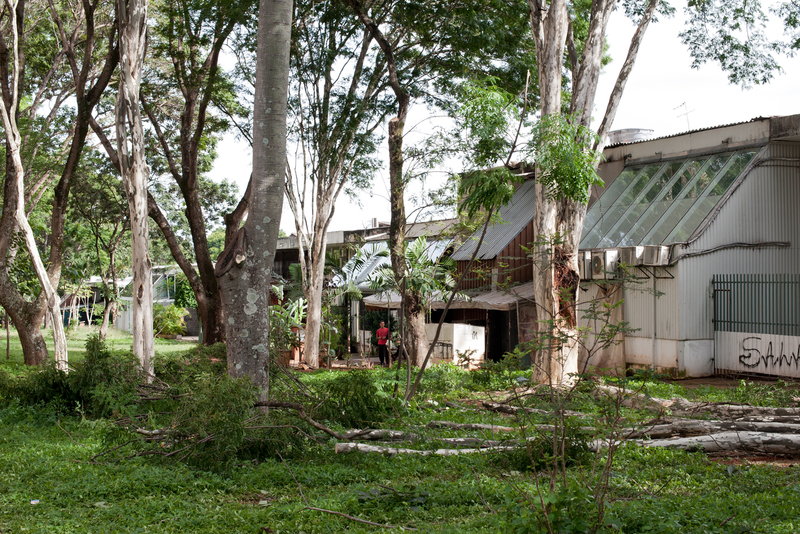 It focuses the view on contemporary everyday life in the city, confining itself to the area of Lúcio Costa’s master plan and concentrating on planning aspects and specific spatial phenomena in Brasília. Lúcio Costa’s plans are based on a simple idea. The starting point for the urban structure of the Plano Piloto is the intersection of two streets. The one street arranges the government buildings and the higher-level municipal public facilities, and residential buildings line the other. The center lies in the intersection of the two axes. 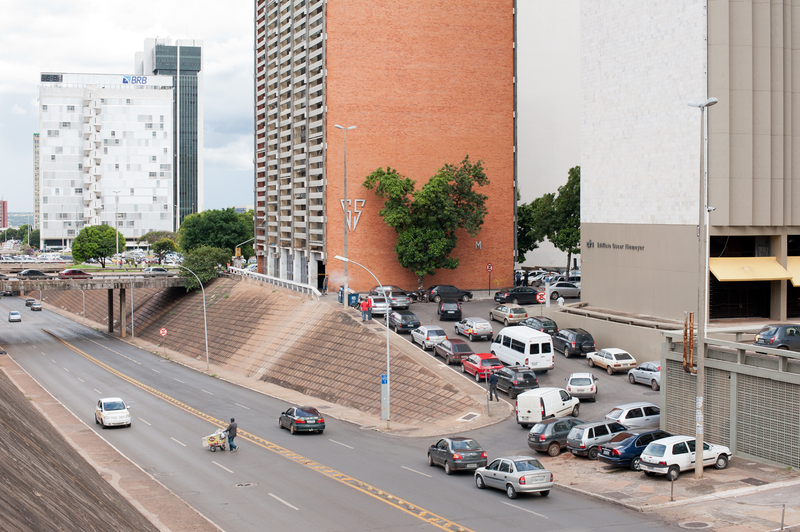 Brasília is criticized due to its implementation of the planning-related principles of modernity; the separation of living, working, and leisure; and the solitary positioning of the buildings in public area—in many places it lacks the urban blend we are familiar with. Brasília is situated in the vegetation zone of the Cerrado, one of the regions of the earth with the greatest biodiversity. The red earth, the topography, the vastness of the landscape and the sky of this savanna landscape, defined by two extreme annual cycles and its specific vegetation, are part of the spatial character of the city. Gardens and individual trees mark places of everyday life. The majority of the Plano Piloto residential buildings are organized in neighborhoods, the so-called superquadras, “which are surrounded by lawns bordered by tall trees, whereby each square corresponds with a certain species of tree; a second row of bushes and leafy plants some distance away is meant to protect the residential area from view from all directions and causes it to appear to meld with the landscape.” The diversity of the vegetation has caused the superquadras to become popular middle-class residences. 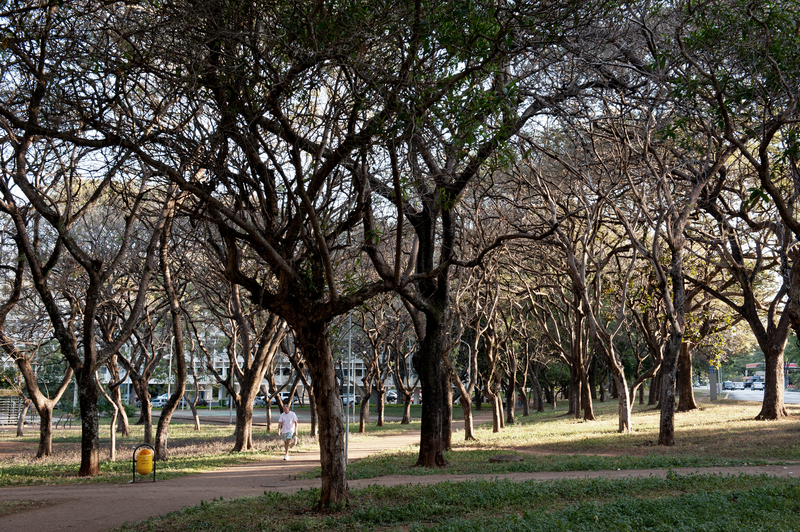 The trees and green corridors formulate spatial boundaries between and at the edges of the neighborhoods. Residents try to lay claim to the areas around their buildings as private space by means of hedges and borders. The architecture of the modern era sought to overcome the spatial boundaries between interior and exterior. The city’s climate allowed the architects to fully develop this openness in their designs. 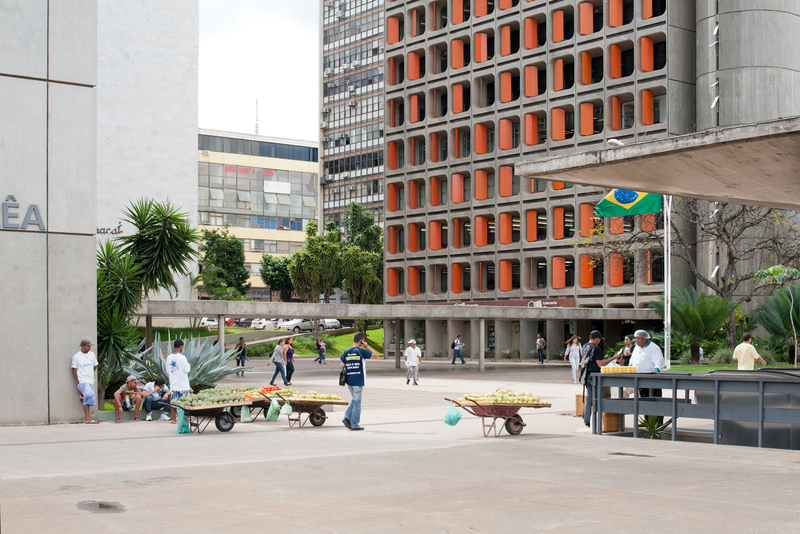 Government and public buildings in Brasília feature a specific, tangible quality of this concept of space in their daily use. Gardens mediate between interior and exterior space and open the buildings out into the landscape. 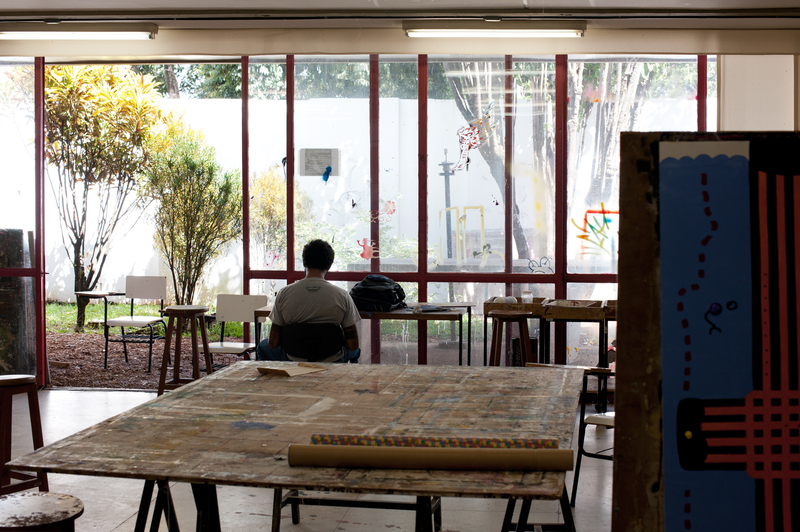 The work is not interested in presenting a comprehensive portrayal of a cultural monument, but rather a portrait of contemporary everyday life in a city of the modern era in the area of the Plano Piloto—more heterotopia than utopia. 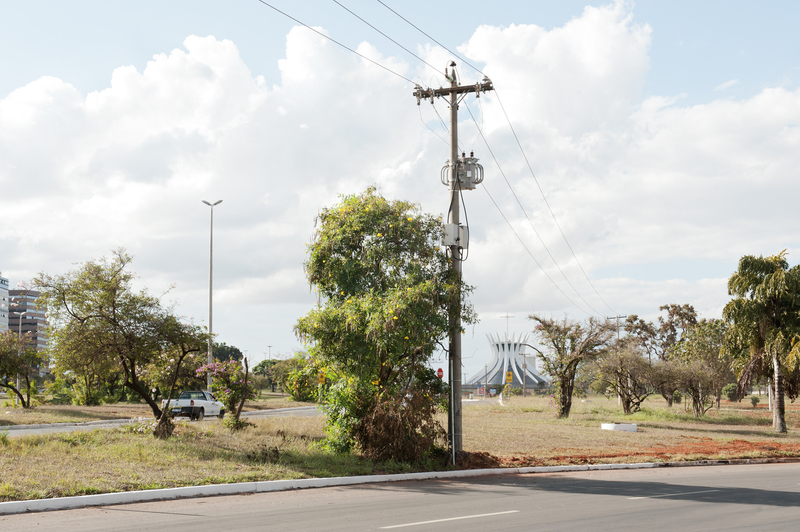 The photographs depict Brasília’s specific spatial qualities, their appropriation, and their amalgamation beyond familiar images.